DataSpace have a wide range of Secure Scanning Solutions. Our scanning services are completed with great care, attention and precision. DataSpace’s scanning operators follow comprehensive internal Work Instructions for all Scanning Operations to ensure that the scanning processes are completed to the highest of standards. As part of our BS10008:2014 certification, log sheets are completed that detail the scanning equipment utilised, date of scanning, scanning operator, existing damage to the original paper record upon receipt by our team as well as many other factors. Scanning data in this way gives you peace of mind as well as the ability to access your documents at a click of a button. 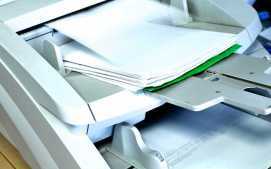 The combination of scanning equipment, software and experienced scanning operatives means that we’re able to scan even the most challenging of documents whether they are delicate, fragile or large in size. If you would like any more information on how our secure scanning services can help your business, simply call us on 0800 028 8956. You can also send us questions via our Facebook and Twitter pages.